What’s the motivation behind China’s deep investment in artificial intelligence (AI)? It may sound like a loaded question, but considering how the Chinese leadership leverages technology, including AI, to repress its own people to an extreme degree, it’s a legitimate question. Is China’s biggest fear really a “false negative” alert—a failure to detect a “bolt-from-the-blue” attack by the United States? Considering China’s formidable nuclear intercontinental ballistic missile capabilities—as well as other aspects of its military power—that fear simply doesn’t make sense. Given those realities, just what is China’s long game with AI? Whether it’s economic policy, infrastructure development, or military doctrine, China’s leadership has always engaged in long-term planning. In the economic realm, the country is making a tremendous effort to break from its role of providing low-cost labor to the world by transforming itself into a world leader in technology. That’s a very big deal. But executing such plans isn’t easy, and things aren’t going exactly as planned—hiccups are to be expected. Production and labor costs aren’t as low as they once were, for example. This leaves China’s manufacturing costs higher than competitors such as South Korea. Plus, China’s value-add efficiency is still well below global standards, as is their high burn rate on resources. China also wastes enormous amounts of raw materials in its production processes, which it has yet to successfully manage. That said, Chinese leadership knows that as big as their economy is, they can’t be a full-fledged superpower without their own technology base. That’s the idea behind the communist giant’s 10-year “Made In China 2025” plan, which they rolled out in 2015. Figures vary on its projected costs, but some estimates project that China will end up spending about $300 billion. The objectives are clear: The Chinese Communist Party (CCP) leadership wants to transform China’s manufacturing base from building other countries’ high-tech products to building its own technology industry sector. They plan to eliminate all reliance on foreign technology. All things considered, they’re well on their way. Is it time to be concerned? Yes, it is. China’s goal isn’t just to be competitive around the world—they’ve already reached that objective. Nor is it about making cool gadgets. The CCP is aiming for global dominance, seeking nothing less than global hegemony, which includes putting countries such as Germany, Japan, and even the United States out of business. The technological areas of focus include robotics, autonomous and electric vehicles, biotech, aviation, and AI. All of these technologies will be important, of course, but AI will have a special role in China’s planned global dominance in the not-too-distant future. Sure, at the recent World Economic Forum in Davos, Switzerland, the CCP leadership insisted that it wanted to grow the Chinese economy in a way that’s “complementary” to the existing world order. That’s a tough sell. Let’s be abundantly clear: The race to master AI is, in fact, an arms race. The Chinese denial would be laughable, were it not so threatening. As Russian leader Vladimir Putin noted in 2017, “the future belongs to artificial intelligence” and whoever masters it first will rule the world. That is, in fact, precisely the case. 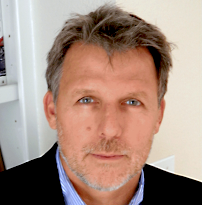 The applications of AI in the defense/military sector are virtually unlimited, from autonomous “Terminator”-type warfare machines to self-determining computers that could decide to launch a nuclear strike without human oversight. But those nasty military applications are only the beginning. The applications for AI in other and all areas of life are virtually endless. To get just a glimpse of how AI will affect our world, just think of how the internet of things has changed the way every mechanical device is now digitally connected and can be remotely controlled via the internet. There’s literally no ceiling on AI. The downside? This new level of sophistication offers unprecedented levels of surveillance on entire populations. In brief, AI offers authorities the temptation of totalitarian control over their people like never before. As with any new technology, it’s how it’s used that matters. 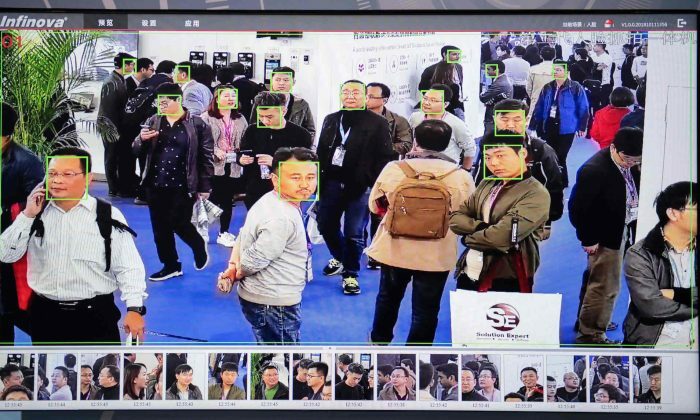 Of course, China knows the potential totalitarian applications of AI as well as anyone; it employs aspects of AI and other technologies in its “Social Credit” system. Its application of AI and other “smart” technologies allows Chinese authorities to monitor personal data, behavioral history, personal preferences, and habits—from personal traits such as alcohol consumption and medical conditions, to how many unpaid parking tickets you might have, and of course, any counter-revolutionary opinions you might have uttered. All of this data is used to reward or punish people without warning. You might suddenly find that your bank account has been frozen, your plane ticket abroad has been canceled, or much worse, you’re suddenly collected and hauled off to a detention center somewhere—all due to your insufficient social credit standing. Your social credit is determined by some algorithm at the behest of and controlled by the CCP regime. These abuses are just a few of many that the Chinese leadership already levies against their own people. Imagine how foreigners would be treated by their Chinese masters. Voicing concerns about China’s potential capabilities and intentions isn’t scaremongering or even anti-Chinese. It’s simply a recognition of the facts and an acknowledgment of the history, temperament, and stated goals of the current brutal leadership in China. George Soros, hardly a conservative, agrees. As a leading global economic and military power, should China master AI in its military applications and achieve a position of superiority over the West—and, in particular, over the United States—it would threaten the entire global system of trade, finance, and freedom. The classical liberal trading era in the world would likely cease to exist.